Names and Meanings: Beginning with "T"
See Picture and Facsimile 1-3. Reference to a planet near Kolob. Small Canaanite town southeast of Megiddo. 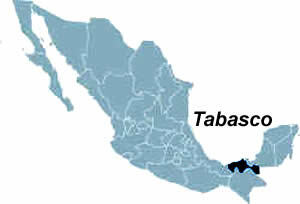 State of Tabasco in Mexico. Syrian soldier in army of Rezin. Place in the Wilderness of Paran. Probably the same as Kibroth-Hattaavah. Reference to the headdress on a Hopi Indian Katsinam (Spirit Messenger). Mountain in northern Israel near the Esdraelon Plain. Same as the Kingdom of Palmyra. Desert station in southern Israel. See Picture. Egyptian queen who received Hadad the Edomite. Mother (by Judah) of twin boys, Perez and Zerah. Daughter of a Canaanite named Shuah. Wife of Er and Onan. Daughter of king David and sister of Absalom. David's son, Amnon, raped her. Probably Sardinia, due to mention on the Nora Stone. Other possible sites are Carthage or Tartessos in ancient Hispania. Field commander under Captain Moroni. Teancum covertly killed the following Lamanite commanders before his own death: Amalickiah; Ammoron; Morianton. Probably located at Tehuantepec City in Mexico. Son of Nahor and Reumah. Primordial waters of Earth's creation. Nibley explained that ancient temples symbolized a model of the cosmos, placing us in time and space. A temple serves as a point of reference, where we take bearings on our place in the universe. It also reminds us of our real purpose in life. Modern temples currently offer restored ordinances. Commandments carved on stone that God gave to Moses at Mount Sinai. The tablets later were placed in the Ark of the Covenant. See pictures from the movie: The Ten Commandments. Ten Regions of the earth mentioned as the "ten horns" in the Bible (Daniel 7:23-25 and Revelation 17:12). Ten "kings" will rule them until a "little horn" or king will uproot three of the kings and fight against the Lord's saints. Likely refers to the Anti-Christ. In 1973 the Club of Rome (a conspiracy group) proposed the original Ten Regions. FEMA (Federal Emergency Management Agency) in 1979 also divided the United States of America into ten regions. Father of Abram and Haran. He died at Haran in modern Syria. Princess of Kush (aka Sudan). According to Jewish records, Moses married her to end the Egyptian war against her father. Pineal Gland in a human body and represented the highest degree of spiritual enlightenment. Ancient civilizations symbolized this with a pine cone. See picture of Angkor Wat. Jewish temple to be built in Jerusalem prior to the coming of Messiah. See pictures of the Third Temple. See Facsimile 1-3. Greeks called this god, Hermes. Three Nephite disciples of Jesus Christ. They were transfigured, similar to John the Revelator. Three witnesses to the Book of Mormon. Oliver Cowdery, Martin Harris and David Whitmer gave written testimony that they saw and heard the Angel Moroni. They also handled the gold plates and supported Joseph Smith. King of Nations (Hittites). He fought against cities in the Vale of Siddim; aka King of Goyim. King of Assyria who conquered Damascus and took the following from king Pekah: Galilee; Gilead; and lands of Naphtali. Daughter of Lotan. Wife of Eliphaz. Mother of Amalek by Judah. Ancient copper mine in Sinai. See Picture. Brother of Nephi 34 AD. Home town (modern el-Ishtib in Gilead) of the prophet Elijah. Third son of Gomer. Land near Gaziantep in Turkey was named after him. Ancient land identified as modern Turkey. Mentioned as an ally of Gog (Ezekiel 27:10). Site in the "Valley of the Son of Hinnom" (aka Gehenna) where adherents of Molech offered human sacrifice. Hinnom was the son of Jerus. Primary pattern throughout nature from the smallest to the largest structures (atom and galaxy). Examples: cross section of an apple and orange; planet's magnetic field; vortex of a tornado. Energy moves upwards, circulates around the center, and enters from the bottom in a continuous cycle. See Models and Vector Equilibrium. Jesus Christ was changed temporarily on top of a high mountain; reported to be Mount Tabor. Eye inside a triangle, as represented on a United States $1 bill. Click to view their lands as a Division of Inheritance. Levi received six Cities of Refuge. See Gemstone Chart for gems and symbols for the 12 tribes. Twelve tribes also are represented as the 12 stars in constellation Virgo, as shown in Revelation 12:1-2 (Bible New Testament). Descendants of Togarmah, third son of Gomer. Ezekiel 38:6 and 27:14 in the Old Testament stated that Tubal and Meshech will provide troops to Gog. Tubal is considered to be ancient Georgia and modern Turkey. King of the Lamanites circa 51 BC. Son of Ammoron. Two true prophets whom John the Revelator saw in vision as part of a Second Woe mentioned in the Apocalypse. The prophets will preach 3.4 years in Jerusalem, be murdered and resurrected after three days. Immediately thereafter an earthquake will destroy one tenth of the city and kill 7,000 people. These events will precede the Third Woe (Great Sign in heaven) and the Second Coming (return) of Jesus Christ. Prominent Phoenician port city and home of Dido. See Ruins of Tyre.